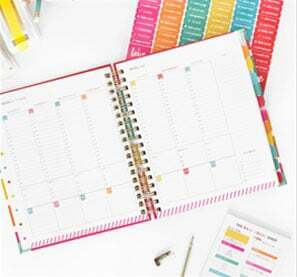 Our philosophy here at Living Well Spending Less is that you can never have too many quick & easy freezer meals ready to go, especially ones that use budget-friendly chicken! 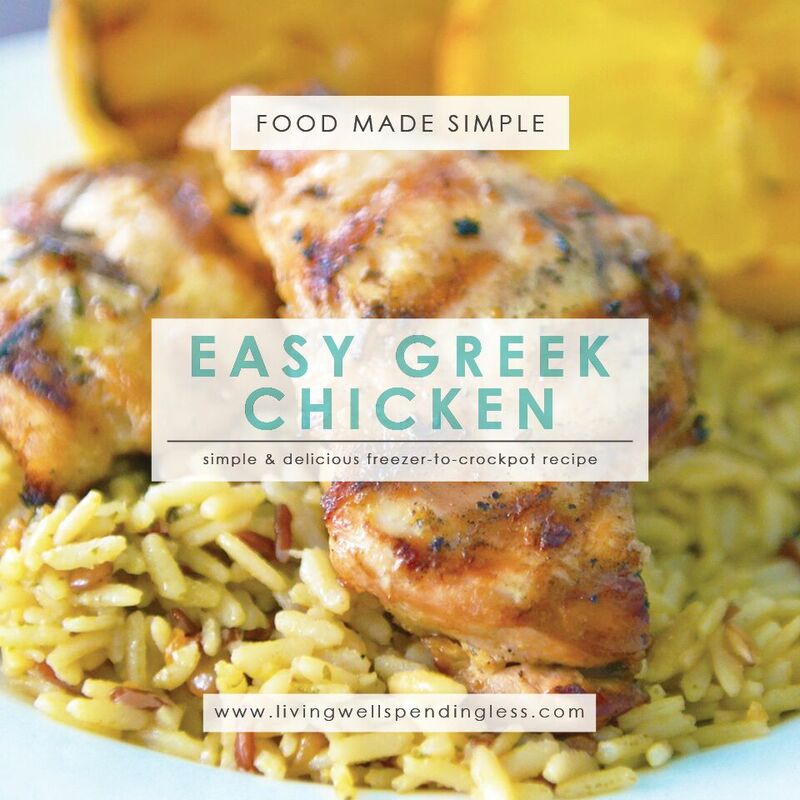 This tender, juicy Easy Greek Chicken is a snap to throw together but so full of flavor that it feels extra-special. 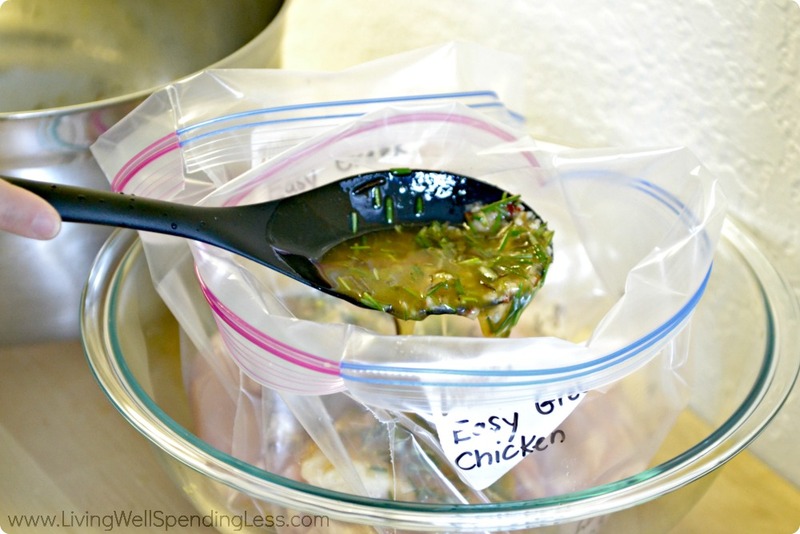 To make it as part of a freezer cooking day, just split the marinade & chicken into multiple bags, then throw it right into the freezer–no cooking required! Making it ahead of time is not necessary, though, as it is equally delicious just marinated in the fridge for about 30 minutes. 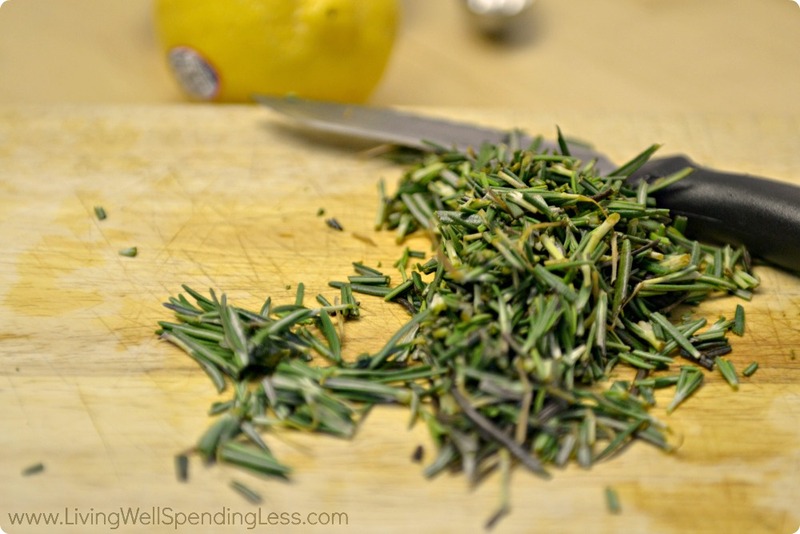 Step 3: Remove rosemary leaves from stalk, discard stalk, and chop leaves. Step 5: Marinate chicken in bag for at least 30 minutes or longer, or press out air from bag and freeze. Step 6: Thaw if frozen. Grill 7-8 minutes per side, basting with additional marinade, if desired. 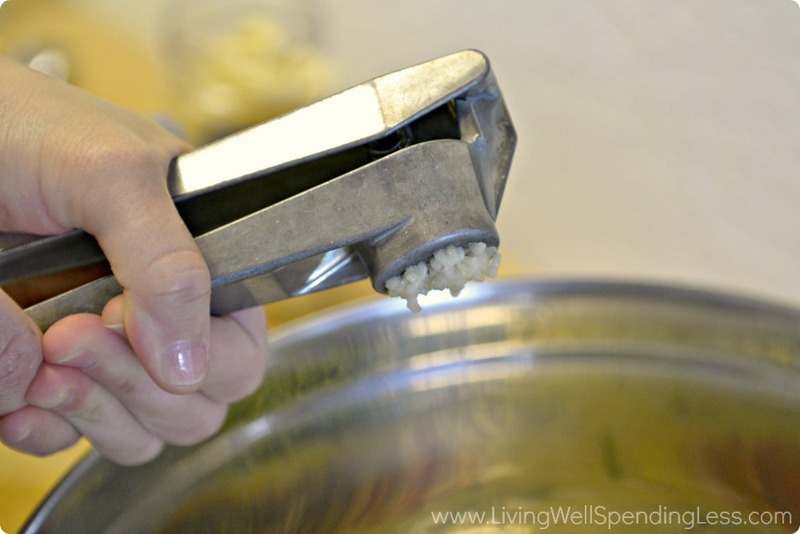 Alternatively, you can pour contents into slow cooker. Cook on low for 4-5 hours or high for 2-3 hours, or place in casserole dish and bake at 400 degrees for 30-40 minutes. Serve over cooked rice. 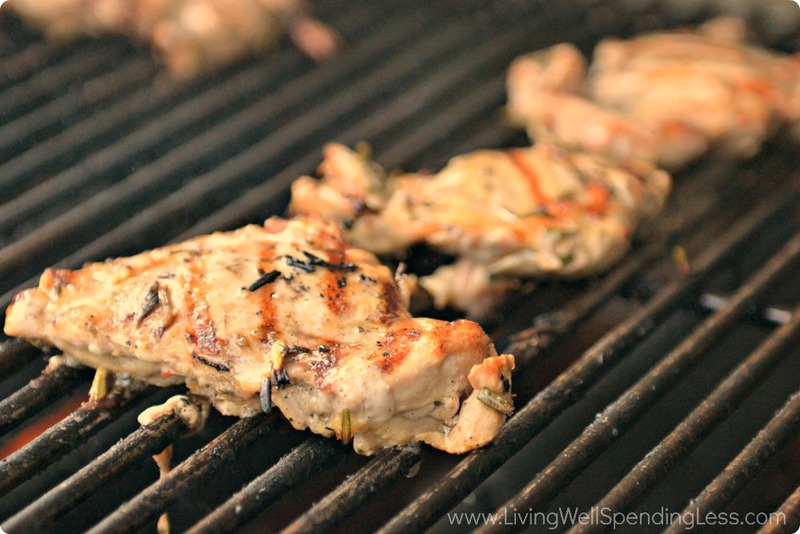 This juicy, flavorful chicken is sure to be a new family favorite! 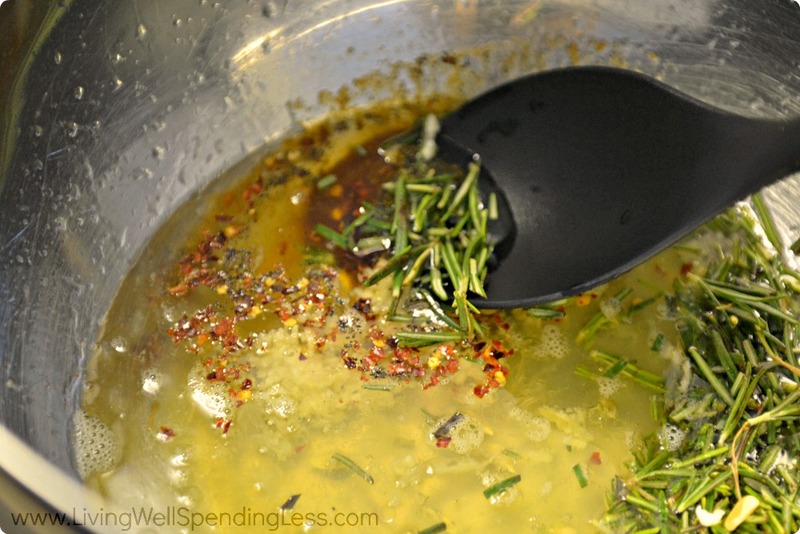 Remove rosemary leaves from stalk, discard stalk and chop leaves. Thaw if frozen. Grill 7-8 minutes per side, basting with additional marinade, if desired. Alternatively, you can pour contents into slow cooker. Cook on low for 4-5 hours or high for 2-3 hours, or place in casserole dish and bake at 400 degrees for 30-40 minutes. Serve over cooked rice. Well done! I am Greek and a little judgmental when I see *Greek* recipes. Your recipe is subtle, no redundant fanciness and looks so very yummy. 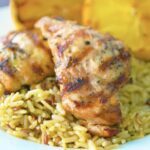 Greek chicken is quickly becoming my favorite! 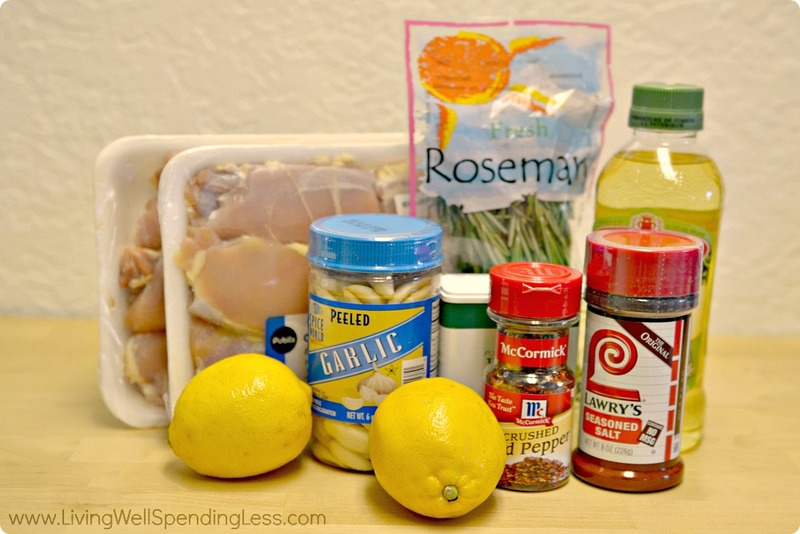 I’ve stopped eating red meats about 3 weeks ago and I’m loving chicken and turkey recipes. This looks tasty with rice! What rice is it paired with in the picture? Best chicken dish ever! 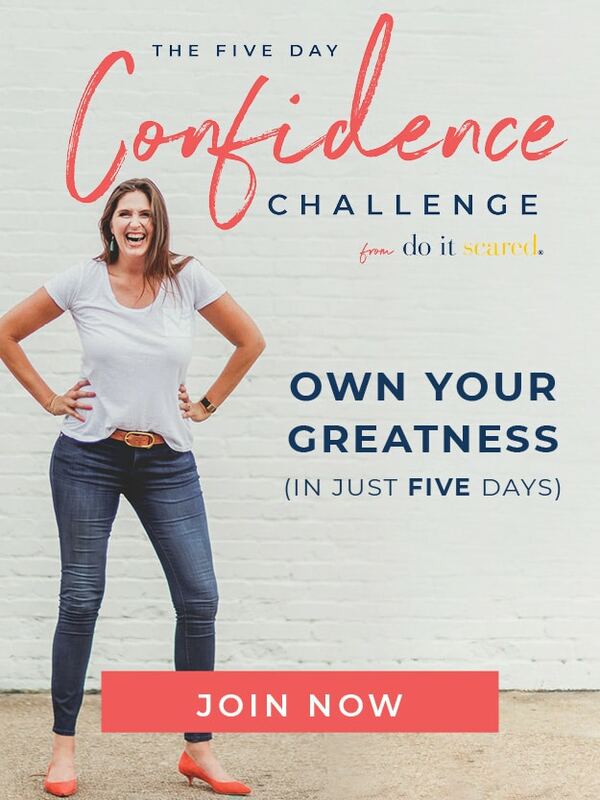 It is so simple and my entire family loves it!! This dish will be a repeat at our house. Everyone loved it.